The image of sitting next to the fireplace conjures thoughts of cozy comfort on a cold night. Watching a fire burn is beautiful, feeling the warmth of it when it’s cold outside is pleasant, and the overall experience is one many people cherish. But then you remember what goes into cleaning up the ash afterward, the costs of buying wood regularly, the effort that goes into chopping wood and getting the fire started – and not to mention, if your home doesn’t already have a fireplace with a chimney installed then the cost of putting one in is enough to make your head spin. An electric fireplace is the perfect compromise. You can get much of what you like about the experience of a fireplace, without all that trouble. Electric fireplaces emit warmth while displaying a realistic looking view of a fire that’s created using an LED light. They won’t provide the smoky smell or crackling noise of a fireplace, but the rest of it will be taken care of. If you’re still on the fence about whether or not an electric fireplace is a good choice for your home, here are six of the most common reasons why consumers are opting for them. All you have to do is plug them in. No chimney or vents are required, just an outlet and enough space to fit your electric fireplace. Traditional fireplaces have their benefits, but they don’t heat your space very evenly. In fact, the majority of the heat simply goes up and out of the chimney. If you’re not sitting really close, you won’t get much warmth from them. Due to the nature of their design, electric fireplaces do a much better job at spreading the amount of heat they produce throughout the room. No hauling or chopping logs. No cleaning up ash or soot. All you have to do is change the light bulb out every couple of years, if it’s even needed. And also remember to keep the fireplace itself and the area around it clean. 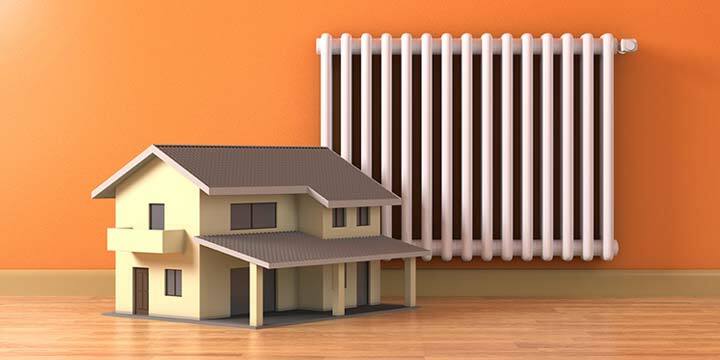 As with any electric heater, there are some risks associated with their use. 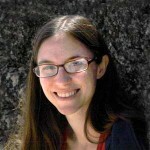 For example, you don’t want to touch the fireplace or place anything flammable next to it, such as clothes or blankets. In comparison to a traditional fireplace though, the risks of an electrical fireplace are minimal. Most fireplaces are only used seasonally. Once it starts to get warm outside, there’s no longer any reason to use them. An electric fireplace, however, can be used without the heating element, so you can enjoy the visuals of a fire any time of year, no matter what the temperature is like in your home. 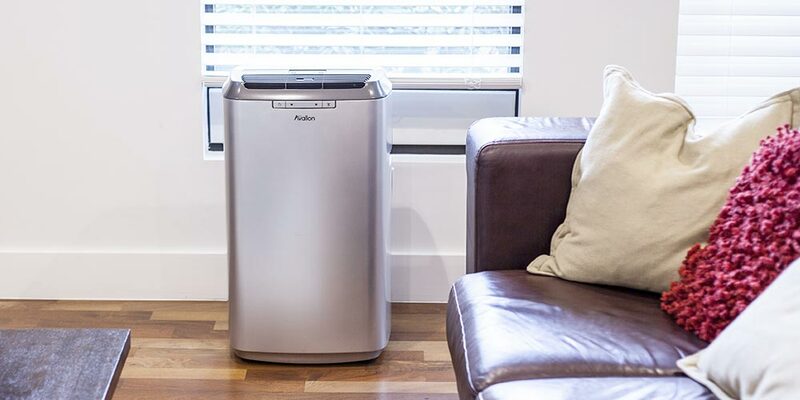 There are many more benefits associated with this type of heater, but we’ve decided to only highlight the most commonly touted ones we hear from our customers. However, once you’re sold on the benefits of buying an electric fireplace, it’s time to figure out which one is right for you. When shopping for the best electric fireplace for you, the first big choice you will have to make is which type of fireplace you want to go with. You have a number of options available, all of which are suitable to a variety of different types of living spaces and home decor. If your home already has a fireplace, but you’ve decided you don’t want to deal with burning actual wood anymore, electric inserts are a quick and practical solution. There are a couple of different options available here. The simplest and cheapest option is to stick with freestanding electric log inserts, which you can simply set in the fireplace where you once kept wood logs. They look just like wood logs with glowing embers, but remain cool to the touch during operation. Typically, the heat comes from the bottom of the unit, but this will vary from model to model. If you want something more permanent and with a more realistic look, you can buy an electric firebox insert which can be installed in the space to fully replace the fireplace that was there. Built-in inserts tend to be more expensive, particularly if you need to hire somebody for installation, but once they’re installed you have the use of your fireplace in a way that will come with less long-term costs than using it in its traditional form. Can fit into an existing fireplace. Some types of inserts are very affordable. Look great and fit in seamlessly to the look of your home. Can be costly, particularly for built-in fireplace inserts. May need somebody to help install it. Mantel fireplaces are designed to look just like the real thing, but can be added to any room without the hassle of installing an actual fireplace. Simply plug it in and turn it on. Unlike inserts, this type of electric fireplace come with the framing around the fireplace, so they’re a more self-contained unit for homes that don’t already have a space for a fireplace. Whether you live in a small apartment or would like to add a fireplace to your office, an electric mantel fireplace can be added anywhere there is an electrical outlet. Prices can range quite a bit for this type of electric fireplace. Depending on your aesthetic and size preferences, you can typically get a unit for a few hundred dollars, but some especially luxurious models can run well over $1,000. They’re convenient, especially for anyone living in a small home or apartment, as there’s no complicated installation required. You can add them into any space you’d like, as long as there’s an outlet nearby and you have the space for them. Self-contained heater with no installation requirements. Easy and convenient to add to any room of your choosing. Available in many sizes, styles and colors which make them easy to match your current decor. Can be expensive, especially for nicer models. One of the best benefits of going with an electric fireplace is how many more places you can put it. A wood-burning fireplace could never be suspended in the air hanging from a wall like a portrait, but an electric fireplace can. In fact, wall-mounted electric fireplaces are becoming increasingly popular for the decorative quality they add to a room, without taking up any floor space. The overall price for wall mounted fireplaces can vary quite a bit. You can find some simple wall units for a couple hundred dollars, but the majority of these fireplaces will go for much higher. The good news is that most electric wall mounted fireplaces won’t require professional installation. Instructions for hanging the fireplace will vary from model to model, but shouldn’t be a difficult task. However, mounting the fireplace on the wall may require you to be somewhat handy. Some models will be easier than others to install, but for the most part, it will be similar to how you mount a flat screen television. Great decorative addition to a room. Comes in a wide variety of shapes, sizes and colors. Tends to be more expensive than other fireplaces. Must be mindful of where the vent is. Sometimes adding a new item to a room is complicated – you have to figure out how to fit it in with everything that’s in there already and make sure that everything functional in the room maintains its place. So why not choose an electric fireplace that can multitask? TV stands with electric fireplaces built-in serve both the role of fireplace and that of an entertainment center. They include spaces for putting your TV, your video game consoles and DVD players, DVDs and books, or whatever you else you choose to store in the space. 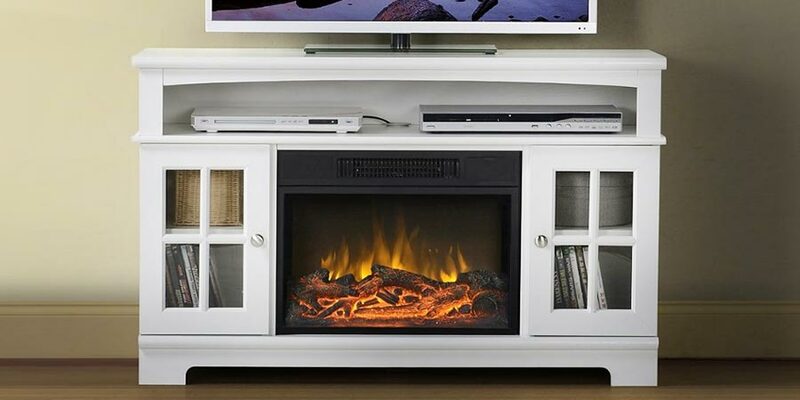 Electric fireplace TV stands are easily one of the most popular types of electric fireplaces. Not only can you find plenty of styles and colors to match the decor in your home, but they also offer a storage solution for all of your media and entertainment necessities. Like other fireplaces, the cost of these will range from a few hundred dollars to a few thousand dollars. It all depends on what kind of style, size and material you are looking for. Judging from consumer reviews, this is the best electric fireplace you can buy. It’s not only functional and stylish, but you can curl up next to it and watch your favorite shows all night long. Multi-purpose, makes efficient use of your living space. Many styles and size to choose from. Can be more expensive than other fireplaces. When shopping around for the best electric fireplace for you and your family, you will come across a wide variety of different shapes, aesthetic styles, and sizes. Here are some of the most important factors to consider and features to look for in your search. You can find little portable electric fireplaces that can fit on a table or desk, as well as some rather large ones that will take up some serious living room real estate (but also provide a good amount of heat to the room). Overall, the size of your electric fireplace will influence how much it costs, how much heat it puts out and where it makes the most sense for it to fit. If you’ll be inserting an electric fireplace into a mantle that previously held a traditional fireplace, you’ll want to get your exact dimensions of the area to make sure your new purchase will fit in the space. If you want to be able to move your electric fireplace from room-to-room based on where you’ll be, you likely want to look for more portable models that aren’t too heavy and work anywhere with an outlet. Have a specific spot in mind before you buy your electric fireplace so you can be sure to get one that fits. If you’re going for a built-in model, this is especially important, but even for plug-in fireplaces you want it to fit well into the room you have in mind. As our types section above makes clear, many electric fireplaces are designed for the area in which they’ll ultimately be placed. You’ll find models specifically designed to fit well into a corner, many designed to fit into the standard sizes for traditional fireplaces, and some designed to fit onto a wall. The location you have in mind for your electric fireplace will have a significant effect on determining which model is the right one for you. This is important for determining the right size, but also for picking out the best shape, look, and features. For an electric fireplace that will be centered in your main living room, you’ll probably want to consider at least a mantle for putting pictures or other decorative items on it. For your bedroom or dining room, something with a sleek look that doesn’t take up too much space, like many of the attractive wall-mounted fireplaces will likely be a better fit. However, the most popular choice, is to get a TV stand fireplace that doubles as both a heater and an entertainment center. In order to find the best electric fireplace, it is wise to carefully consider whether or not you want a built-in electric fireplace or a plug-in version that’s less permanent and easier to move. A built-in model will cost more, but it will fit perfectly into your room and, once you have it installed, you know it will be there for good. Electric fireplaces usually cost at least a couple hundred bucks (although some smaller portable models and log inserts will be less). For built-in units or especially nice wall mount and mantle fireplaces, the costs can get much higher — well over $1,000 in many cases. The overall cost will vary based on a wide variety of factors, including size, shape, type, and the number of features included with each individual unit. Depending on what you’re looking for, those higher prices may be worth paying. If you want an electric fireplace that has just the right look, is permanently built into your home, is made of the highest quality materials or can heat large living spaces, then shelling out a bit more can be well worth it. But if you want something that’s pretty simple and functional, you can easily find models on the lower end that are guaranteed to satisfy. The aesthetic of an electric fireplace is half of the point. The heat is nice, but any space heater can provide that. One of the benefits of an electric fireplace is that it not only provides warmth, but also adds to the allure of your home. You want a model that has nice, realistic flame effects and puts off a pleasant glow. If you’re getting a mantle, wall mount, or media console electric fireplace, then finding one that has the right look to fit into your room is important. An electric fireplace shouldn’t just be about staying warm. It should add to the beauty of your room. It should be something that makes you smile as you go about your day-to-day life. Consumers with all sorts of different stylistic preferences can find an electric fireplace to love. Browse your options and see what jumps out at you. Here are a few common features that are available within electric fireplaces. Before you buy, you should consider whether the model you want has any of these, or if you feel they can have any benefits to you. Digital settings make it easy to set your electric fireplace at the exact temperature you desire. An actual fire won’t always stay at the same lighting level and your electric fireplace doesn’t have to either. Some electric fireplaces allow you to control the lighting levels as you please. Some fireplaces even give you the opportunity to change the color of the “fire” it displays. Don’t want to bother leaving the couch or bed to turn your fireplace on and off? A model with a remote control alleviates this inconvenience. Set your electric fireplace to the preferred temperature, or even set it to automatically turn on and shut off at the times you’ll typically want. One of the final considerations it’s important to make in your search for an electric fireplace is the reputation of the brand you go with. Choosing a well-respected brand means you’re more likely to take home a high-quality product that will meet your needs. To give you an idea of what to expect from the different popular brands on the market, we looked over the consumer reviews for different electric fireplaces sold by each. Amantii makes high-end, attractive wall mount electric fireplaces and fireplace inserts. Their models don’t have a lot of reviews yet online, but the ones we found were very positive – people love the modern look of their Amantii electric fireplaces. If you have the money to spend and want a modern, stylish model, they’re a solid brand to consider. 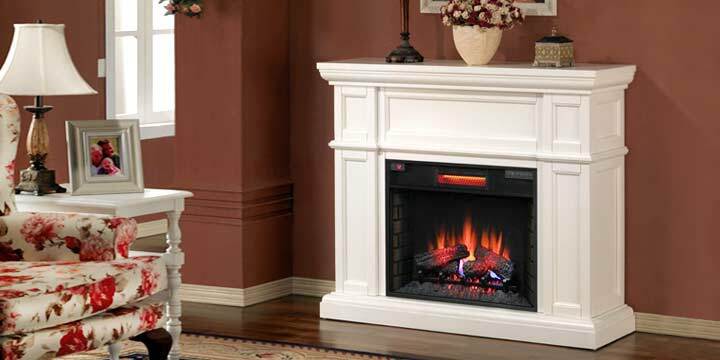 Classic Flame offers a wide range of different electric fireplaces in many sizes, types, and styles. User reviews show them to be a dependable brand across models. Reviewers praise the high quality of their electric fireplaces and many mentioned how easy they are to set up. Between the wide selection and the large number of raving reviews, consumers can count on getting the electric fireplace they want from this brand. Crane sells a wide variety of products, including many different types of heaters, air purifiers, and humidifiers. However, for this particular article we only focused on the reviews for their line of electric fireplaces. Customers like how they look and how well they heat the space around them. If you want something simple and affordable that heats a small space, this brand can clearly get it done. Dimplex makes a wide range of models that includes mantle electric fireplaces, media console models, and wall mount fireplaces. Their reviews are solid across the board. Many reviewers praised the realistic look of the flames and commented on how easy their electric fireplace was to install. The general consensus on Dimplex fireplaces is that they’re a great buy and a good value for the money. As a whole, this is one of the best electric fireplace brands out there. Duraflame is another brand with a wide range of electric fireplace models to choose from – from mantels, to inserts, and more. They have a couple of popular models designed to look like traditional stove heaters that get strong reviews from customers. They earn praise for realistic flames, easy set up, and putting off a good amount of heat. Fire Sense offers attractive, affordable wall mount fireplaces that have plenty of happy customers. Reviewers say they’re easy to install, work well, and look good. If you’re interested in a wall mount model, but not quite prepared to pay Amantii-type prices, Fire Sense makes a good alternative. Frigidaire sells a number of different electric fireplaces of different types that typically get pretty positive reviews. Customers love how beautiful their fireplaces are and praise the value for the money, but some complain about certain models being too loud. Outdoor Greatroom makes attractive electric fireplaces that get raves for their appearance. They do tend to be on the more expensive side, but reviewers say they can transform the space you put them in and report that they emit a nice amount of heat as well. Real Flame sells a wide range of electric fireplaces, including a large number of mantel and media console fireplaces in a variety of styles. The reviews for their fireplaces are almost uniformly positive. Customers say that they work well, look great, and are easy to assemble. 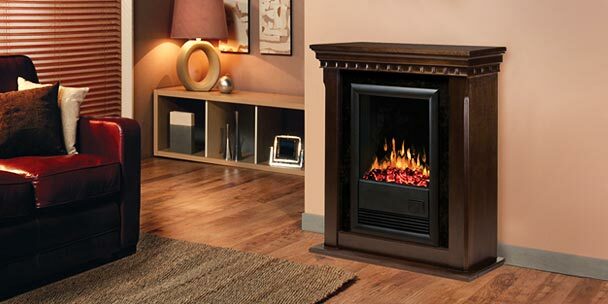 The reviews we read demonstrated how much customers love their electric fireplaces. They can add a lot to the look of a room and help you stay warm and cozy in the colder months without any of the hassle that comes along with a more traditional fireplace. Regardless of your stylistic preferences or the space you have to work with, you have plenty of options to choose from. With the proper research, find the best one for you should be easy. The last step is curling up by the (electric) fire with your loved ones. What brand electric fireplace is Prop 65 free?